On Thursday 16th November we join forces with our good friends 4 to the floor to present a special free party at the amazing Curtain venue in Shoreditch! It’s going to be a special night at one of London’s best kept secrets so simply RSVP your name below to add your name to the list. Some of the labels he’s released on include: King Street Records, Mahogani, Planet E, Defected, Nitegrooves, Sound Signature and Octave Lab…oh yes, we’re pretty excited for this one. 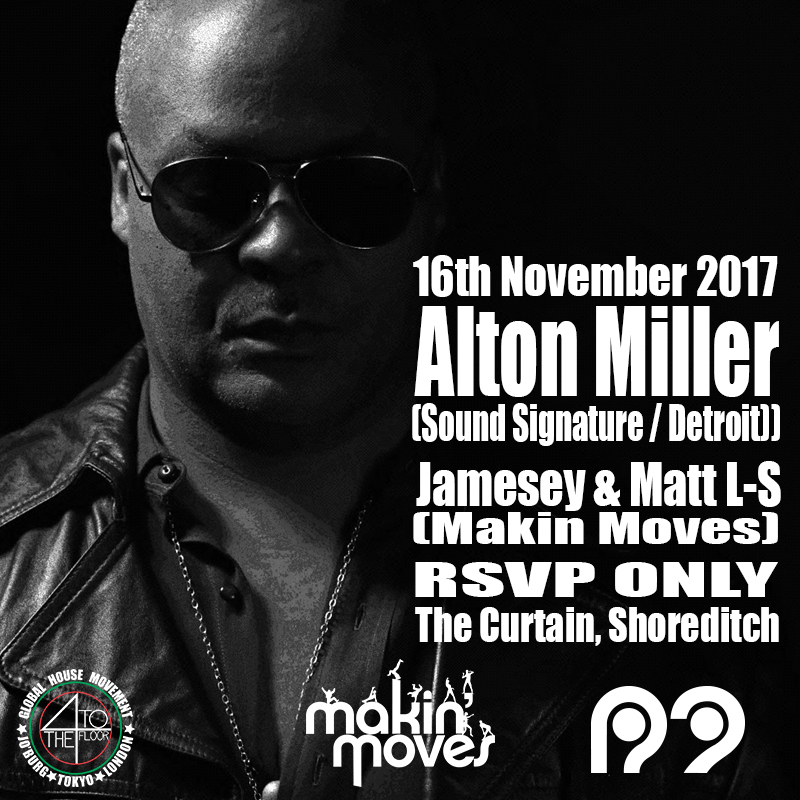 Born in Chicago and raised in Detroit, Alton’s early roots in soul music led to an affinity for club culture that was the staple of the motor city and Chicago at the time. Developing his DJing skills under the influence of house music’s founding fathers like Frankie Knuckles, Ron Hardy, Larry Levan and Timmy Regisford, he eventually opened his own dance club The Music Institute of Detroit with like minded friends Chez Damier and George Baker in 1988. He is now one of the most respected producers, DJ, vocalist and percussionists on the scene today and will be playing an exclusive London set for your listening pleasure. Follow the link below and register!! We welcome two new faces to the label for our latest release, singer Dawn Souluvn Williams and DJ Wali B from New Jersey. Dawn Souluvn Williams crossed over into the Soulful House music world in 2009 and began to blossom almost over night. Discovered on Facebook by Moises Modestro, she recorded and co-wrote “Release” aka “Funky Beep” with Moises and Duane Hardin. From there she wrote and recorded “Live, Love, Laugh” in 2009 produced by Bruce Jeffers of Phunk Farmers Music. “Live, Love, Laugh” opened doors for Dawn around the world and she wrote and recorded her first Charted and #1 Hit title “New Me” produced by Jonny Montana. This is Wali Bs first move into producing and with Tiger Wilson on synths it works the floor so well. Were pretty sure this is not going to be the last production that we will be hearing from Wali! This very infectious piece of soulful house has been a big hit on the Makin Moves show for the last few months and in the cd wallets of the likes of Louie Vega, Jihad Muhammad, Danny Krivit, Joe Claussell. JIHAD MUHAMMAD (BANG THE DRUM) JOINS US ON HOUSE FM! 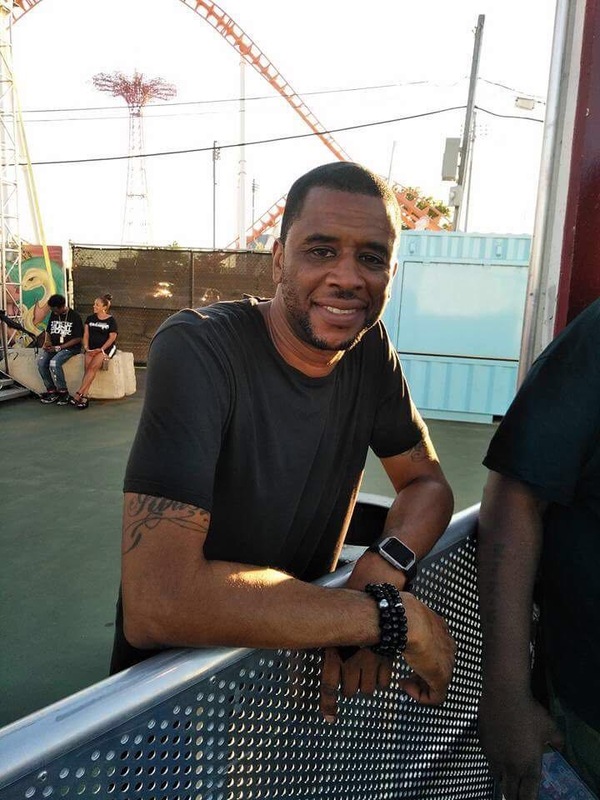 We’re very excited to bring you the news that Jihad Muhammad from Bang The Drum in New Jersey will be joining our weekly radio show on HouseFM.net! For the past 5 years it’s been Matt L-S in the hot seat but from next week it will be a weekly rotation with Jihad, Jamesey and Matt. Makin’ Moves & Bang The Drum is live on www.housefm.net every thursday evening 8-10pm GMT. 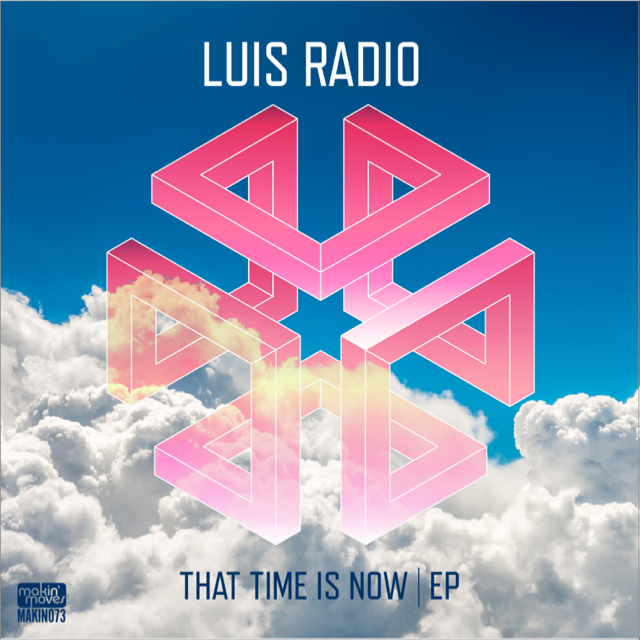 Luis Radio is back with a fresh new EP! This is his third EP on the label and this one certainly lives up to the heights of the last two. Again Luis provides us with three very different tracks all perfect for any dance floor. Drums and Keys by Luis Radio.